Winter is rarely more beautiful than in South Iceland. 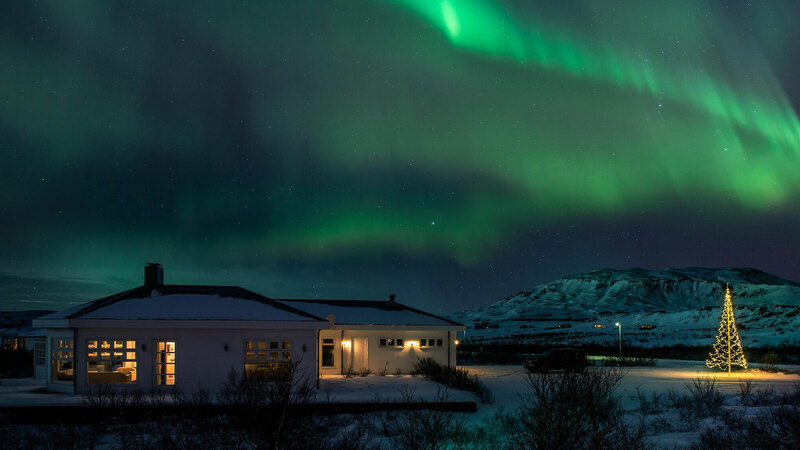 On this 5-day self-drive tour, you will have a chance to explore regions like the classic Golden Circle and scenic south coast, bathe in the soothing waters of the Blue Lagoon, and enjoy exciting optional activities like exploring like snowmobiling, glacier hiking and visiting a natural ice cave. 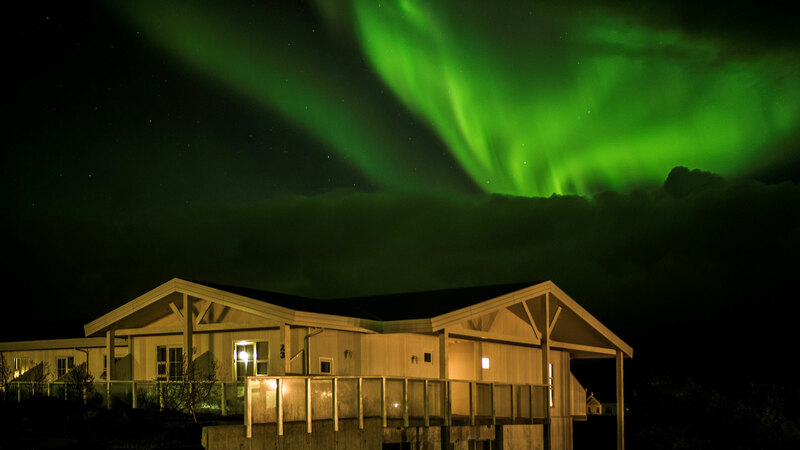 You will stay at the carefully selected luxurious countryside hotel, Hótel Grímsborgir, which is close to many attractions in the south of Iceland, and is also remote, far from city lights, giving you a great chance to catch a glimpse of the majestic northern lights. Upon arrival in Iceland you will pick up your rental car and customised Nordic Visitor travel documents at the airport. If you arrive early, we recommend a leisurely drive through the capital of Iceland, Reykjavik. The downtown area offers a great variety of museums, art galleries, coffeehouses, shops, and of course sights like Hallgrímskirkja, and Harpa concert hall by the Reykjavik's old harbour where you can join optional whale watching tours. 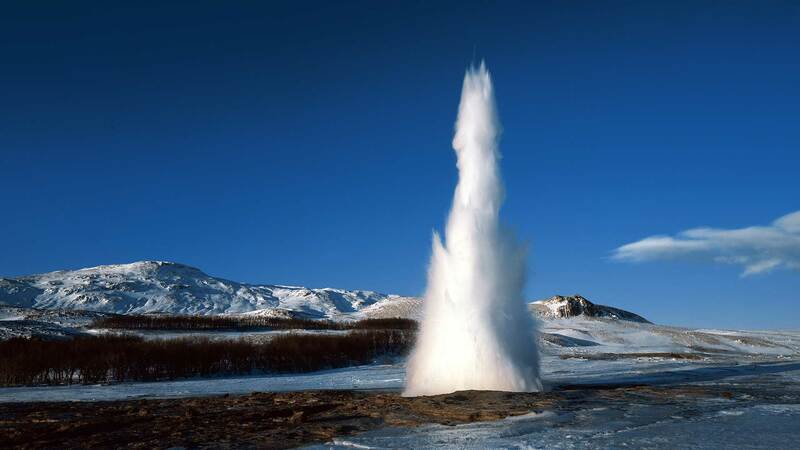 Next up is a drive over to Hellisheiði where you will see white steam rising straight from the earth. The Hellisheiði power plant is on your way driving to the small village of Hveragerði. 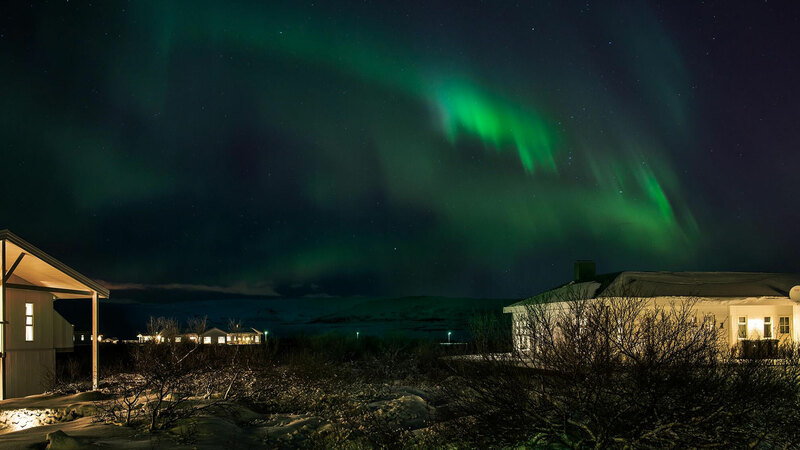 Continue the drive to Hotel Grímsborgir, a beautiful hotel located along the Golden Circle, just a short drive from the UNSECO park – Þingvellir. You will spend 4 nights in a superior room which gives you the convenience of not having to repack and change locations. After checking in at the hotel, we recommend unwinding in the outdoor hot tubs. 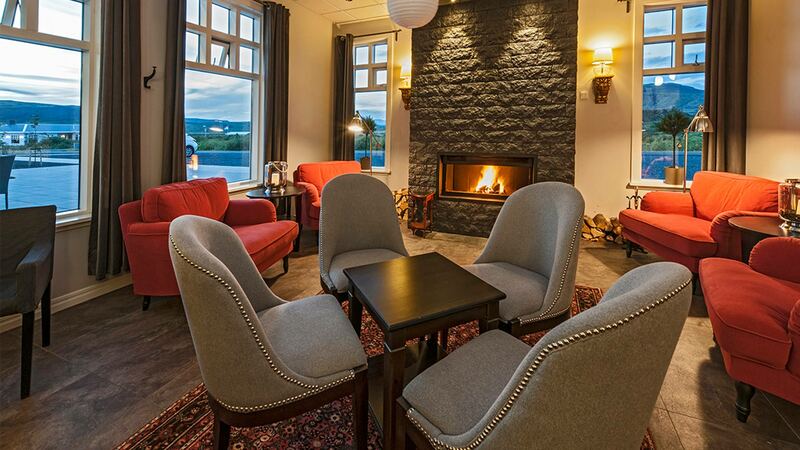 Spend the next four nights at Grímsborgir (Superior Double Room). Driving distance approx. 108 km / 68 mi. Head to the geothermal area of Haukadalur to visit Geysir—the original geyser—or its ever-reliable neighbour, Strokkur, which erupts water and steam high into the air every few minutes. 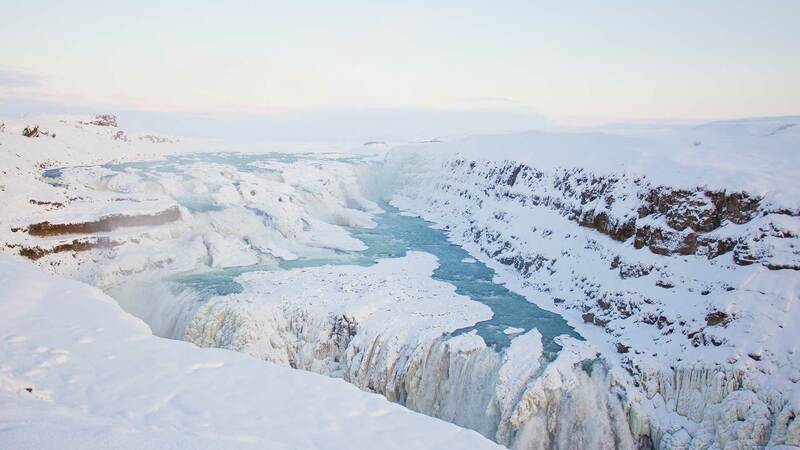 Here you can also see the bubbling mud pots, boiling pools and other geological phenomena before making the short drive to your next stop, the majestic Gullfoss waterfall. Considered one of Iceland’s star attractions, this mighty cascade plunges into a 70-metre deep canyon, creating a beautiful cloud of mist and, of course, a spectacular photo opportunity. Today you also have the opportunity to go snowmobiling on the Langjökull glacier or snorkeling the Silfra fissure (optional; not included). For a relaxing way to end the day, we recommend visiting either the warm pool at the Secret lagoon or the Fontana Spa at Laugarvatn. Start the day with a visit to the Seljalandsfoss waterfall, where you can experience walking behind the misty cascade. 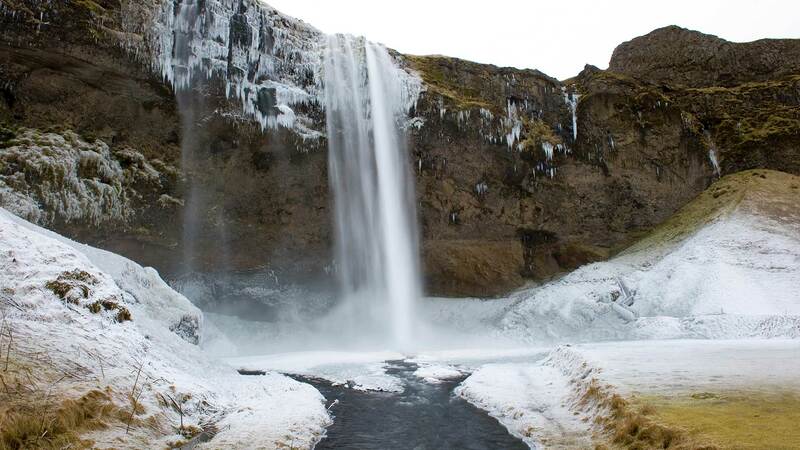 Just a short drive brings you to yet another gorgeous waterfall, the 60-metre high Skógafoss. At the volcanic black sand beach south of Vík, we recommend a stop to enjoy the fantastic views of the Reynisdrangar and Dyrhólaey rock formations. Dyrhólaey is a 120-metre high promontory jutting out into the Atlantic Ocean. It’s a spectacular sight to behold with its natural arch and prominent hole, sculpted over millennia from the force of the waves. Tonight you will be enjoying a festive dinner at Hotel Grimsborgir's restaurant where traditional Christmas dinner will be served. Note; The dinner on Christmas Eve is set on the 24th of December at Hótel Grímsborgir. 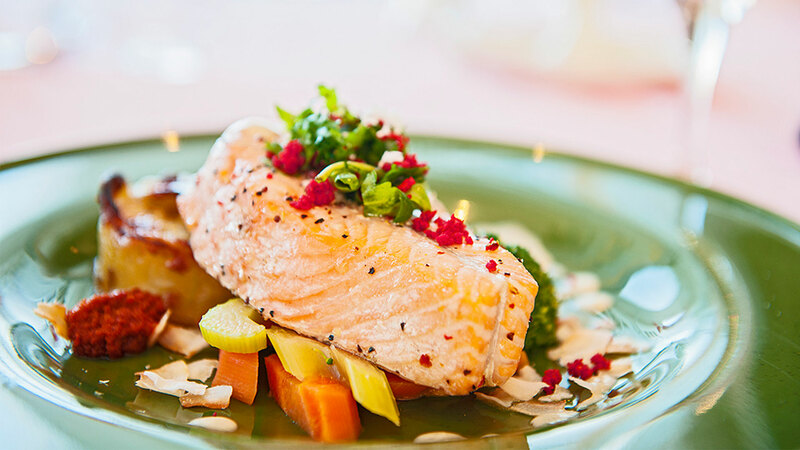 Your local travel expert would however be happy to offer restaurant recommendations along your route and reserve a table for your visit. Driving distance approx. 288 km / 179 mi. 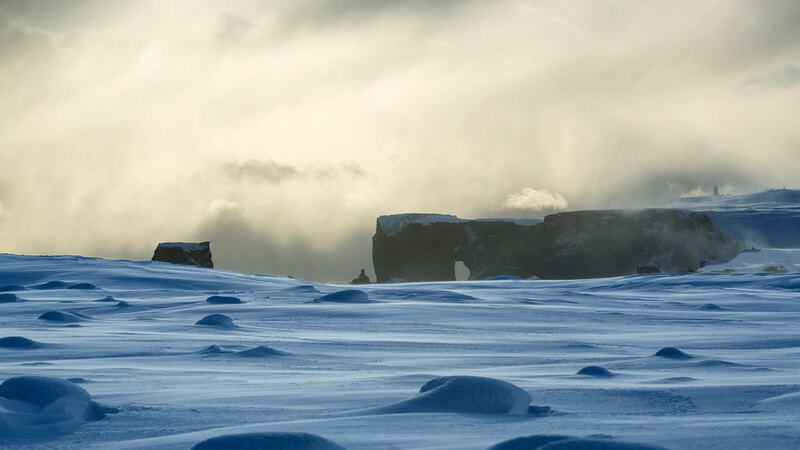 Today is ideal enjoy the pristine nature and tranquillity that South Iceland has to offer during the winter. There are hiking trails close to your accommodation or you could visit the small coastal villages of Stokkseyri and Eyrarbakki. These charming villages have many well-preserved houses from 1890-1920 and a stunning black sand beach. For those after a little more adventure, we have plenty of optional activities to offer, including ice caving tours, snowmobiling, horse riding tours – all within driving distance from the hotel. 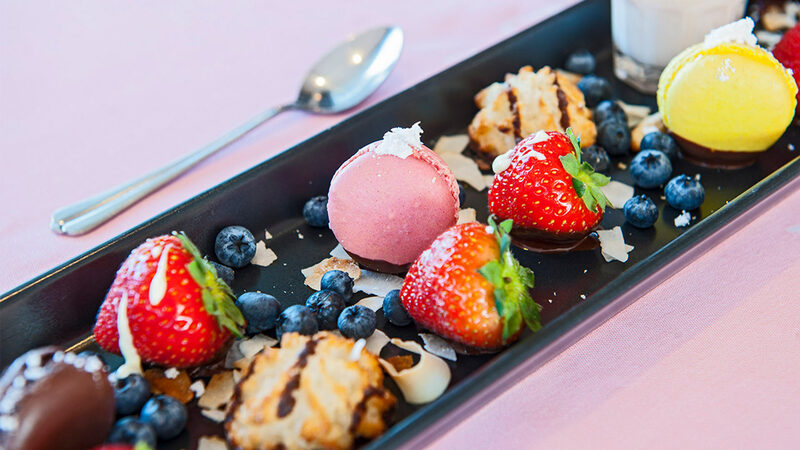 And for those who would like to relax and unwind today, Grímsborgir is located in a beautiful setting and it is ideal to hike along the neighbourhood, enjoy good meals and visit the local hot pots. The capital, Reykjavik is also in a short drive away so you can even head over to the city if you didn´t have time on arrival. Enjoy your last day in Iceland at the vast volcanic wonderland of the Reykjanes Peninsula. Here you have a chance to visit the Blue Lagoon geothermal spa, surrounded by surreal, sweeping black lava formations. The warm, soothing water is rich in silica and blue-green algae, giving the lagoon its renowned healing powers and muted milky-blue colour. For extra relaxation, take advantage of the saunas, steam baths and the Blue Lagoon waterfall or book an in-water “floating” massage (optional; not included). * Included with the comfort experience package at the Blue Lagoon is the entrance fee, a silica mud mask at the Silica bar inside the lagoon, loan of towel and one drink of your choice at the lagoon bar. Head to Keflavik airport in time for your flight and drop off the rental car at the car rental agency. Please note that if your flight is leaving early in the morning your travel consultant will make necessary adjustments to your itinerary for this day. *Skin treatments and massages can be booked at the Blue Lagoon for an additional charge. We recommend booking these services well in advance. Driving distance approx. 124 km / 78 mi. 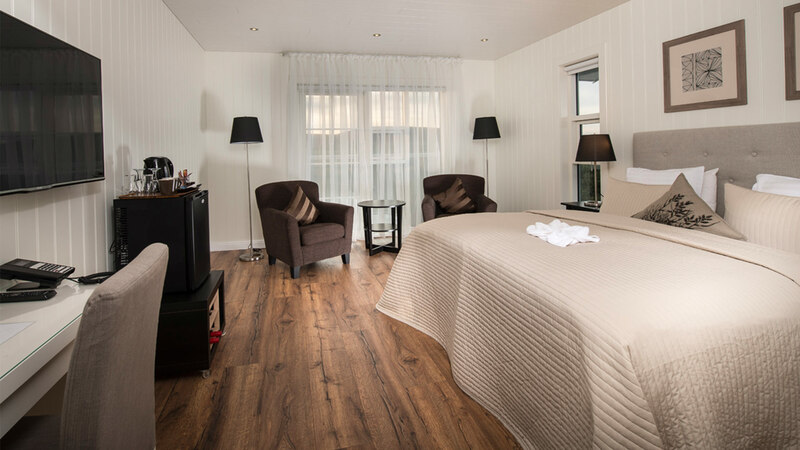 Hotel Grímsborgir´s superior rooms are spacious and comfortable with hardwood floors and a flat-screen TV, and a private bathroom ..
For added safety and comfort, we strongly recommend selecting a 4x4 vehicle for winter. Driving during the winter in Iceland can be challenging as the weather can be unpredictable. If you do not have experience driving in winter conditions, with snow, icy roads and high winds, a self-drive tour during winter is not recommended. However, we offer a number of guided small group tours as well as multi-day tours and privately-guided tours. Learn more about winter driving in Iceland. Please note that the Blue Lagoon is busier than usual during the holiday season. We will book your entrance at a specific time with a specific duration at the lagoon . If you would prefer a different departure time, please inform your travel consultant as soon as possible. 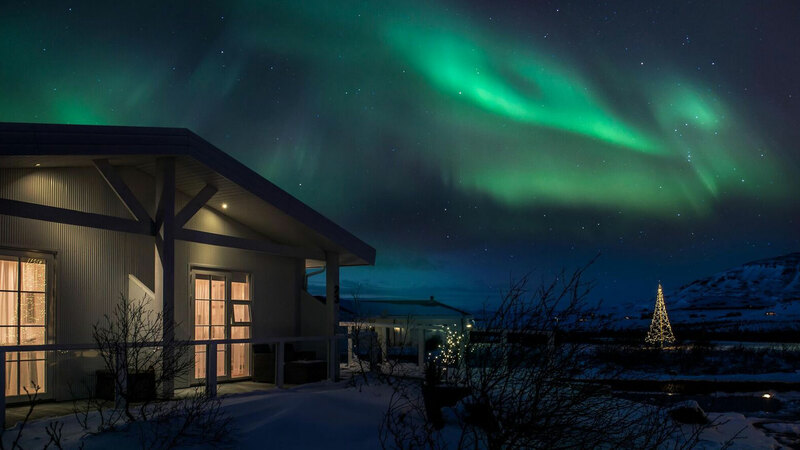 The best months to experience the northern lights are from September to March, with peak visibility from December through February. Please note that as the northern lights are a natural phenomenon, we cannot guarantee sightings, even if the tour is operated. Please be advised that daylight is limited in Iceland during the winter months, with 4-5 hours of daylight from December to January. However, fresh snowfall often gives the appearance of more light, and it is common that houses, streets and businesses are lit up with Christmas lights, so don't fear that you will be travelling in complete darkness. 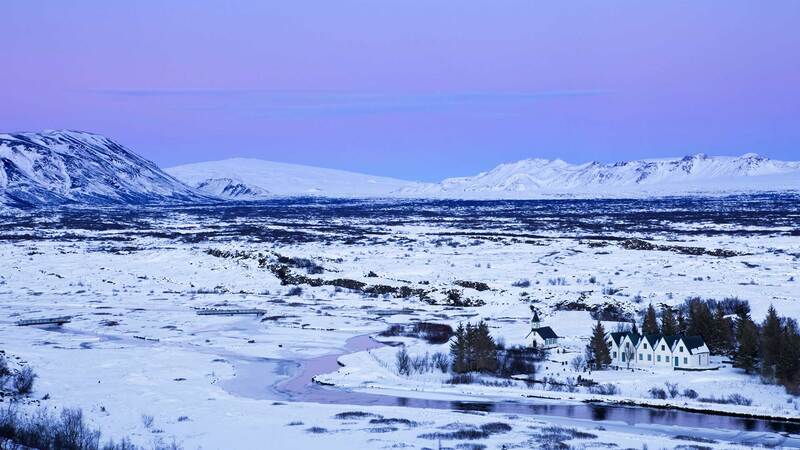 Although the winter climate in Iceland is generally mild compared to other northern European countries, the temperature can drop below freezing at times. Please bring windproof and waterproof outerwear and plenty of warm layers. Please note that the programme is dependent upon weather and road conditions, and may be altered if conditions are not favourable. For information on weather conditions and daylight hours we recommend visiting our extensive Online Travel Guide.